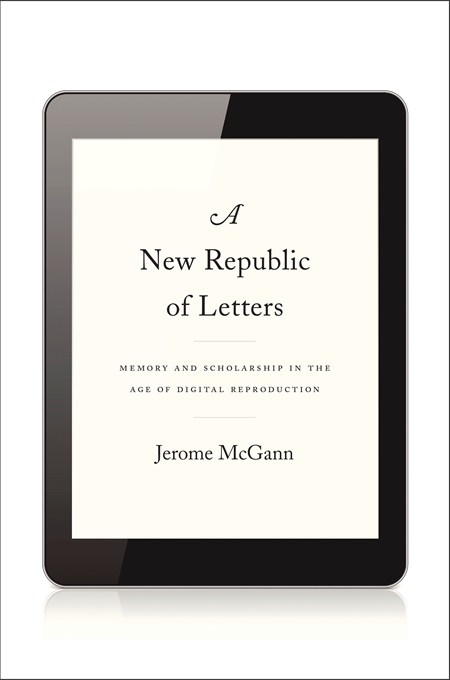 A New Republic Of Letters: Memory and Scholarship in the Age of Digital Reproduction. Harvard University Press released this title in March, 2014 and my review of the title was published in Library Journal in April 2014. I just found out today my review is currently (as of 18 June 2014) at the top of Harvard University Press’ list of reviews promoting the book. Click here to see the review and the title at Harvard Uni Press. This entry was posted in book promotion, Book Reviews and tagged digital humanities, Harvard University Press, Jerome McGann, New Republic of Letters, scholarship.